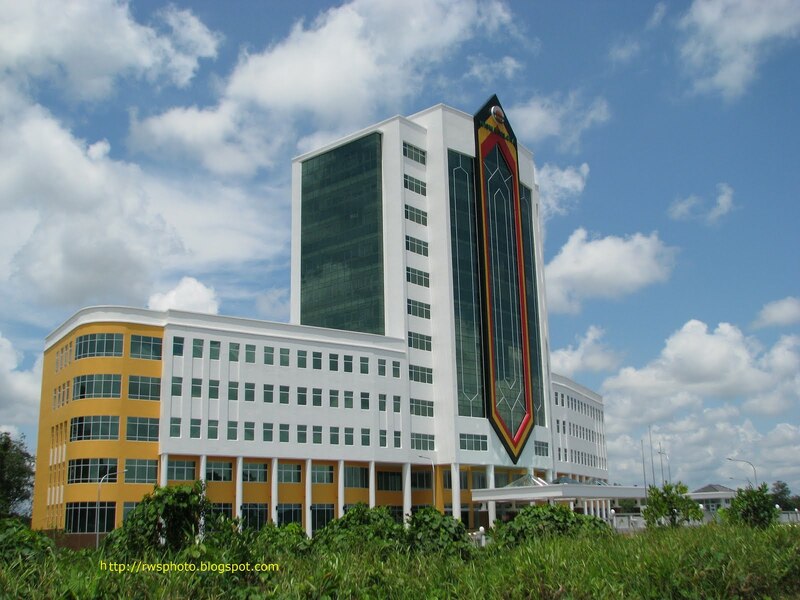 Wisma SALCRA, the latest landmark in the District of Samarahan. Wisma SALCRA cost about RM63.1 million. SALCRA or Sarawak Land Consolidation and Rehabilitation Authority was formed in 1976 to enable and assist the State Government in achieving the objectives of the New Economic Policy (NEP), particularly concerning the eradication of poverty. SALCRA's function, thus is to develop and manage native lands and Mixed Zone Land for Oil Palm and Tea Estates based on “in-situ” concept. 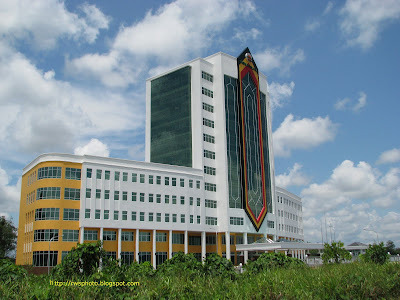 The Wisma SALCRA building does pose one question: Is it a PRIORITY to build the so-called WISMA SALCRA which cost MILLIONS where as the MONIES should be given to the land owners. Rahmat Santoso, in his latest twenties is probably the World's Shortest Doorman. 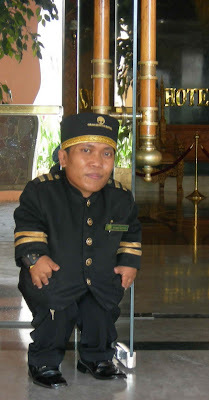 He worked at Gran Senyiur Hotel in Balikpapan, Indonesia. 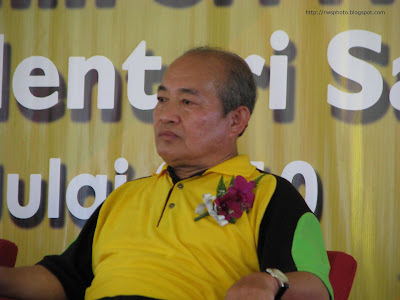 Abdul Taib Mahmud, the Chief Minister of Sarawak. A portrait of past and present. 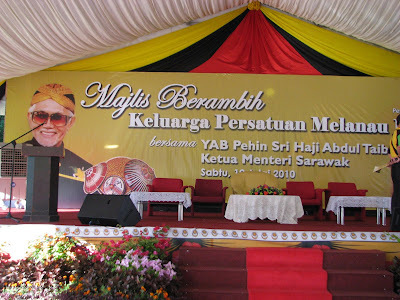 Photo taken during the Majlis Berambih Keluarga Persatuan Melanau Kuching. 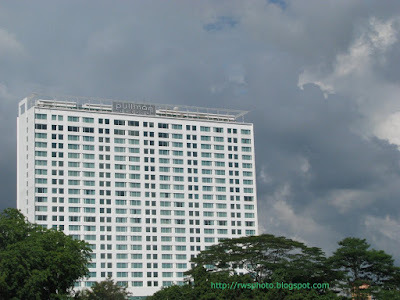 The first Pullman hotel in Kuching. 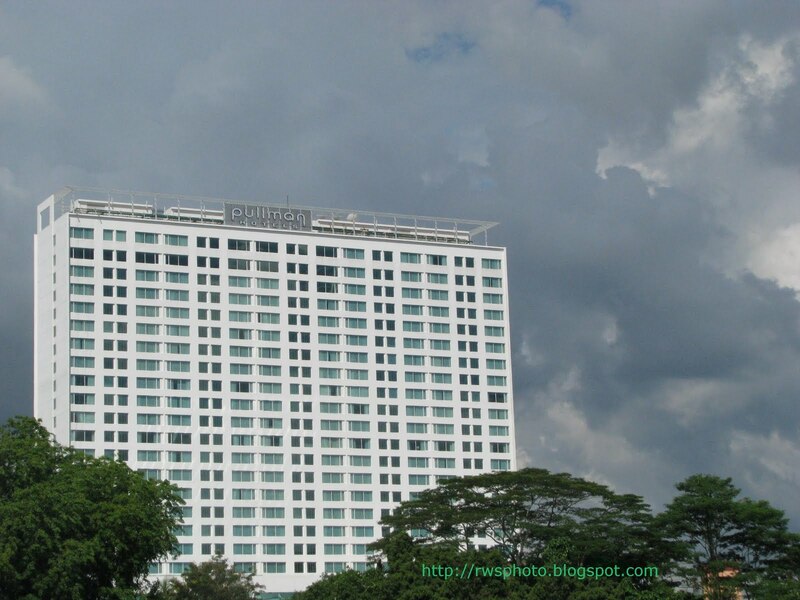 Pullman Hotel Kuching features 389 spacious and contemporary rooms with panoramic city and river views. The locals are saying that Pullman Hotel is "haunted". Observe the photo above, bottom left and you will likely spot a figure near one of the windows. Photo shot from Pelita Car Park complex. 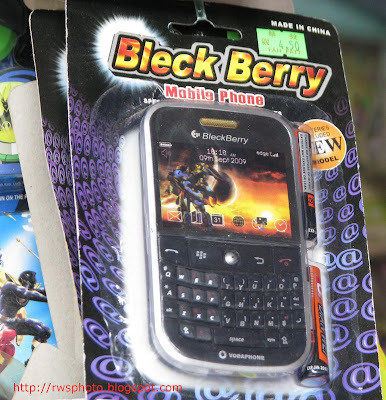 This could be the cheapest Black Berry mobile phone in town. I mean Bleck Berry. And it only cost RM4.50 (with battery) before discount. Photo shot at Asajaya bazaar in the district of Samarahan. Photos shot at the Majlis Berambih Keluarga Persatuan Melanau Kuching, held on July 10, 2010 at Wisma Melanau Kuching. The Melanau dancers doing last minutes practice to welcome the VIP guests. VIP Guests - Left: Len Talif (PMK president). 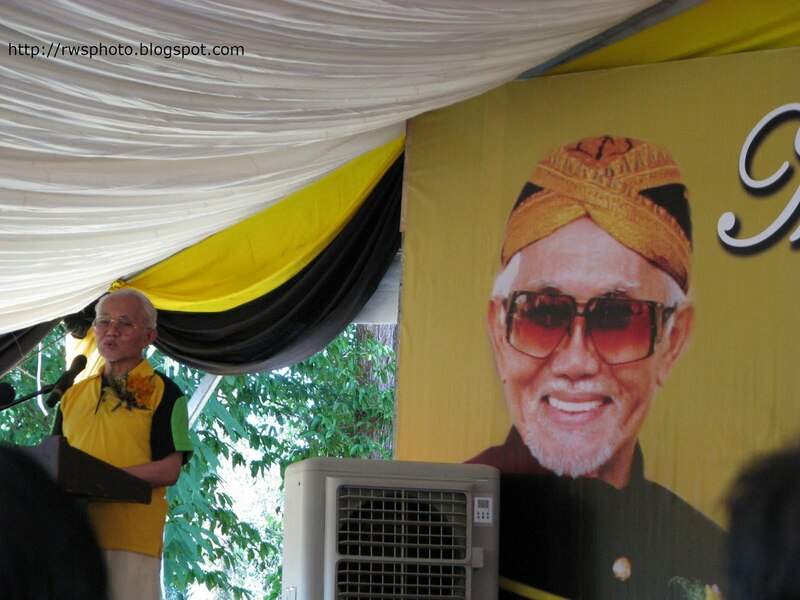 Center: Taib Mahmud (Chief Minister of Sarawak) and Right: Leo Toyad. 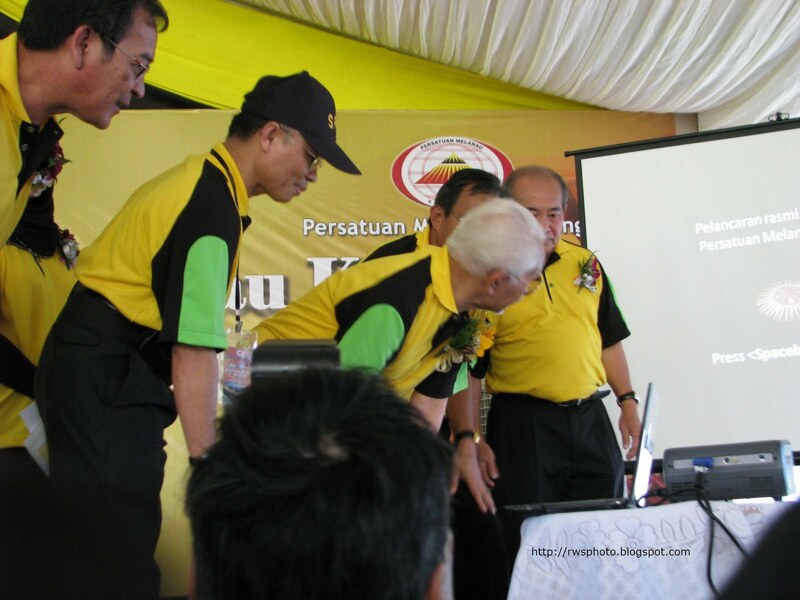 Launching of the Persatuan Melanau Kuching's official website. Berambih is a Melanau word for a casual social gathering that may involve having a meal together. 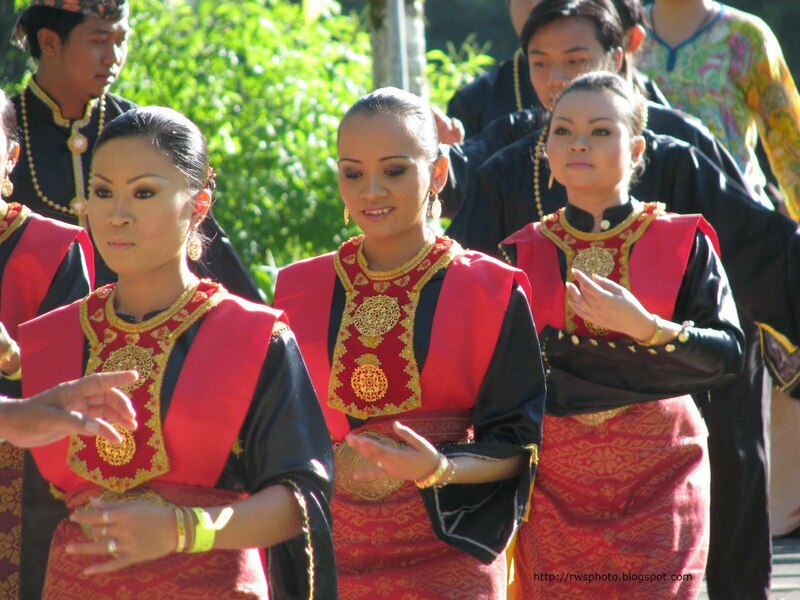 The event may involve a small celebration that includes a feast, cultural show and other social activities. 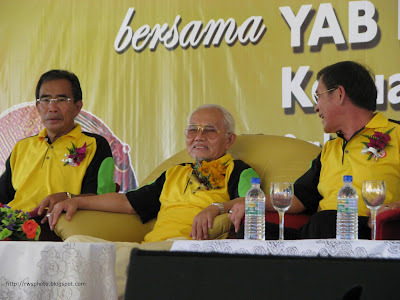 Acara berambih adalah acara perjumpaan antara rakan rakan, penduduk mahupun perjumpaan antara pemimpin dan rakyat jelata.